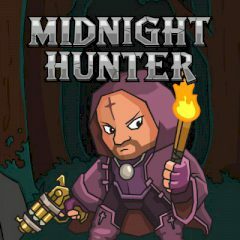 The midnight hunter is the only one who keeps the world safe from the evils and demons. Get your ultimate weapon and kill creatures. Are you ready to protect the innocent people from the invasion of demons and their minions. Travel to a place, where the demons was last seen and kill him and his minions while everyone is still alive.